AMES — He’s put on nearly 30 pounds of muscle. 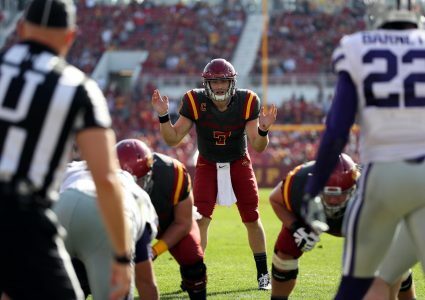 He’s completed the transition from overlooked recruit to rapidly rising Iowa State star. 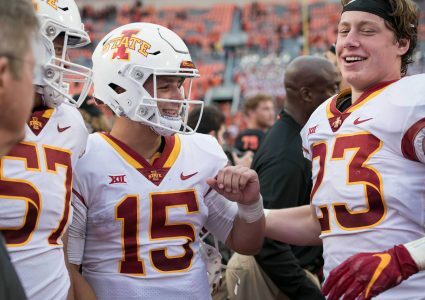 He’s emerging as a leader on a Cyclone defense that continues to solidfy itself among the Big 12’s elite — and that’s all been done in the past 12 months. 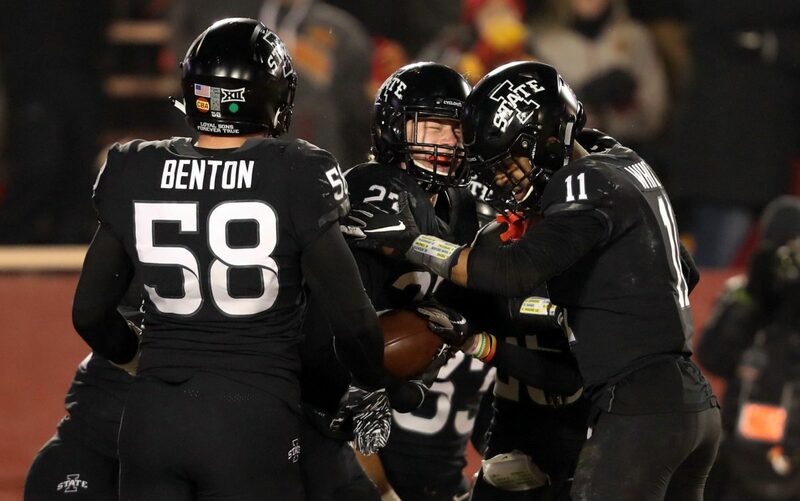 So it’s appropriate to apply the well-worn expression, ‘What a difference a year makes,’ to sophomore linebacker Mike Rose, but it’s also an understatement as he navigates his first experience of spring football in Ames. Rose didn’t field a Power Five offer until his senior season of football started. 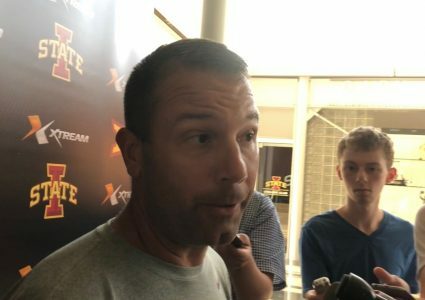 He’d committed to Ball State, but once Matt Campbell and his staff came calling, he was all in as a Cyclone. Many were surprised when his name began bubbling up as a potential starter at the MIKE spot in last fall’s camp, but once Rose cemented his grip on the position, it became clear why ISU was — and is — so high on him. Rose totaled 75 tackles as ISU went 8-5 for a second straight season. He tallied 1.5 sacks and turned a fumble recovery into a touchdown in the crucal 42-38 comeback win over Kansas State. You could say he arrived … but he hasn’t. Not completely, anyway. So talk of heightened expectations simply dissolves into his strenuous preseason routine. That mentality has served exceedingly Rose well. It continues to guide his progress as more is added to his plate, literally. Rose strode onto campus at 212 pounds. Now he’s pushing 240. Rose, an engineering major, will likely see time on special teams this fall, potentially bolstering that unit, as well. He didn’t play on special teams as a true freshman largely because of the massive workload he was already taking on by balancing school with learning the ins and outs of starting at linebacker. He’s certainly proven to be invaluable in one season strictly on defense. So perhaps next spring the phrase, ‘What a difference a year makes,’ will apply to Rose’s further emergence as a leader, as well. After all, he’s proven to be a quick study in every other way.